about this book: When you suddenly find out that you're gluten intolerant, it can be a bit of a shock. Instantly, eating becomes a focus of attention, and not in a good way. It's not easy to have to cut out a whole food group 100%, and in the early stages it's difficult to work out exactly what is and is not safe for you to eat. I had this experience some years ago, and like most people, at first I was forever making mistakes. It's not just food, which is bad enough, but I discovered that even something as innocuous as shampoo or toothpaste can hold hidden dangers for the gluten intolerant, because the areas around the eyes or any other mucous membrane is as capable of absorbing gluten as our stomachs. 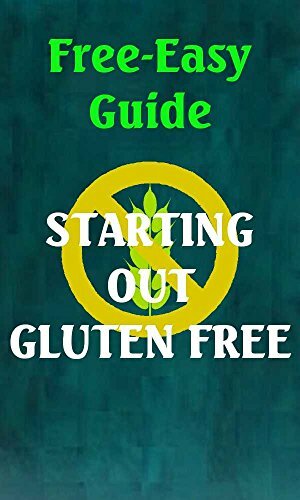 It was to help other people who are having the same difficulties that I put together this little guide to Starting Out Gluten Free. It's divided into three sections, the first of which contains a dozen articles about different aspects of gluten free living, from breakfast to eating out. Sections 2 and 3 contain a guide to hidden gluten (you'd be surprised how many common foods that seem completely innocent are in fact the "devil" in disguise!) and a list of substitutes for things that contain gluten. If you're starting out gluten free, take advantage of my mistakes and I'm sure you'll find the road much easier.